The Tool Crib – Best Tool for Brick Removal and Salvage? 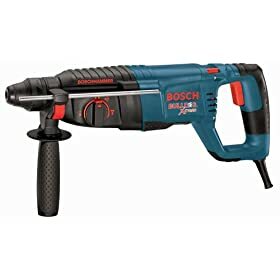 Best Tool for Brick Removal and Salvage? There are models as low as 14$. 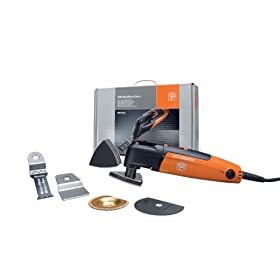 I think the Fein Multimaster would work well for you too, though it’s getting well out of your price range if you get one with “all the fixins”. I wrote about it first here: Ceramic Tile Removal Tools. A FMM with a more basic set up falls below your target price. I think a rotary hammer may be a bit more tool than you need, though I suppose that depends on the quality and age of the mortar. I’ve never done this kind of work, but I’d say that if you’re set on a rotary hammer that you first consider renting one because it’s not going to be as versatile a tool as the Fein MultiMaster. It’s sort of like the old router vs. shaper debate – if you were tearing out brick every day I’d suggest something a little more industrial. In your case I think you’ll be fine with a tool with less muscle and more versatility. how do I remove brick I want to reuse? My son and I removed about 350 sq ft of brick off the house when I put on the kitchen addition. We used a compressor and a pneumatic hammer on most of it. Just put the hammer on the mortar joints and pulled the trigger. The bricks popped off, intack. When we got close to the edge we used a grinder to make the transition as you need to take out a weave pattern to tie in the new section. One person did the removal, the other cleaned off any mortar left on the brick and stacked them. We saved at least 95% of them. How do you remove mortar off of brick? We use Muriatic Acid mixed with water 1:10. Thats 1 part muriatic acid to 10 parts water… (this is a very dangerous chemical! research thoroughly before using it). Chipping tile mortar an excellent forum thread. I hope this helps, and if you have more questions or if anyone else has insight please let me know in the comments. « The Good Ole' Shaper vs. Router Debate: Which is Best? Q/A: For Tool Historians – Date and Price of Craftsman 12" band saw? 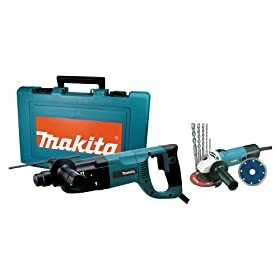 Dont forget the Makita HK1810 power scraper it will do both the jobs you require. And many more!